Savage Stevens 311E SxS, 12 GA, Good Shape! 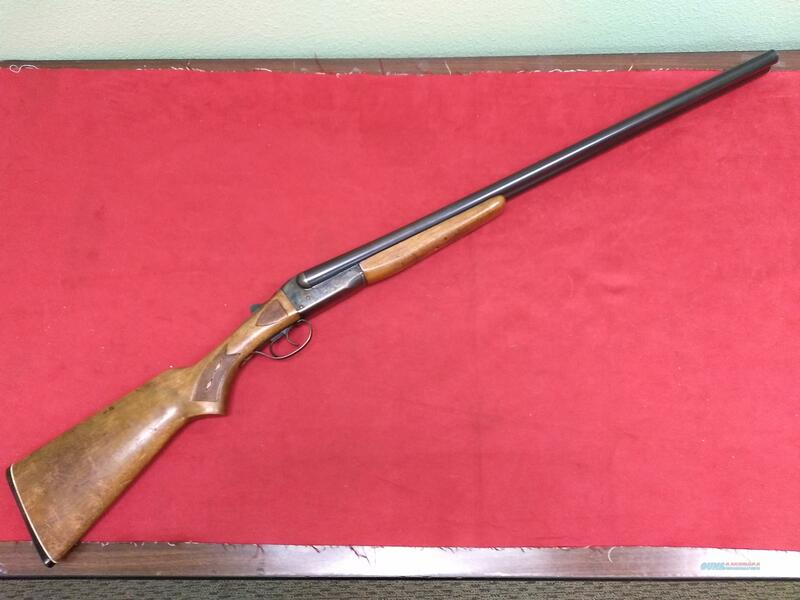 Description: This listing is a Savage Stevens model 311E chambered in 12 GA. As best we can tell this shotgun was manufactured sometime after 1968. (SN: A534XXX) This gun has some dings and some finish wear commensurate with a field gun but is otherwise mechanically sound. The barrels show a little bit of fouling but the bores are still shiny with no obvious evidence of corrosion or pitting. The gun is set up with extractors (not ejectors) and automatically goes on Safe when the action is opened. The barrels are a whopping 30" long and are integrally choked. Overall, this is an excellent option to get a quality SxS shotgun at a VERY reasonable price! No box or papers. Warranty: All new firearms, new NFA items, and new accessories are warrantied by their manufacturer. All items have a 3 calendar day inspection period beginning on the day of delivery. Firearms and NFA items must be inspected at the dealer's location. If at any time during the inspection period the firearm or NFA item is taken off the dealer's premises, the inspection period ends. All items must remain unused during the inspection period.